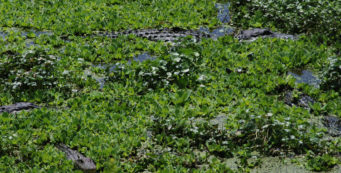 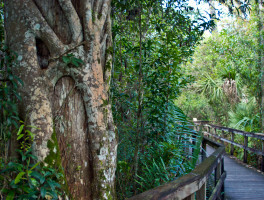 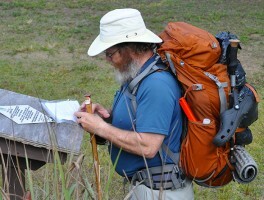 Hiking Naples | Florida Hikes! 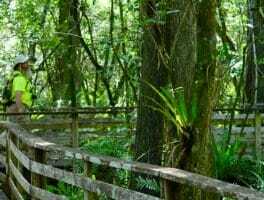 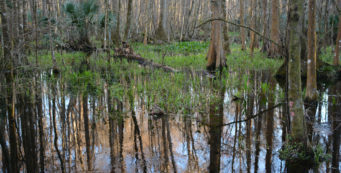 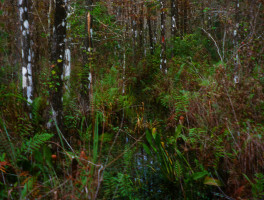 East of Naples, the Big Cypress Bend Boardwalk at Fakahatchee Strand Preserve State Park offers a peek into a notable natural landmark, a stand of virgin cypress. 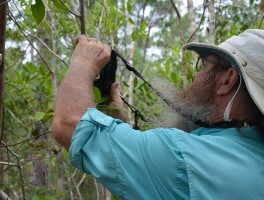 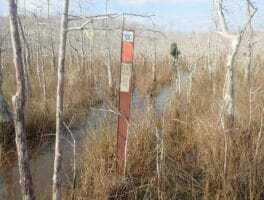 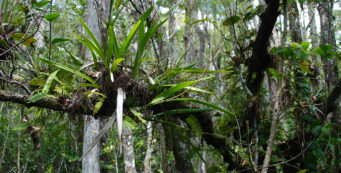 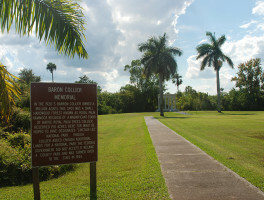 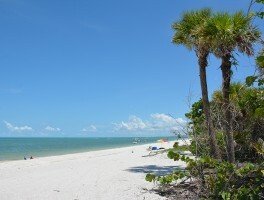 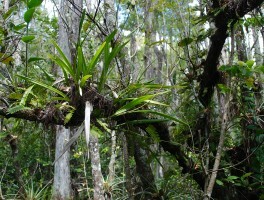 It was meant to be a national park, the largest natural hammock of royal palms in the United States, set aside by developer Barron Collier during his push to create the Tamiami Trail across the Everglades. 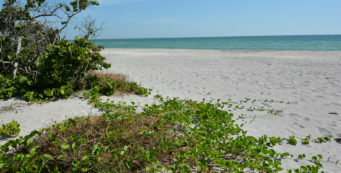 The Federal government wasn’t interested, so the state of Florida stepped in and created Collier-Seminole State Park, which opened in 1947.